"I will always stand for freedom". 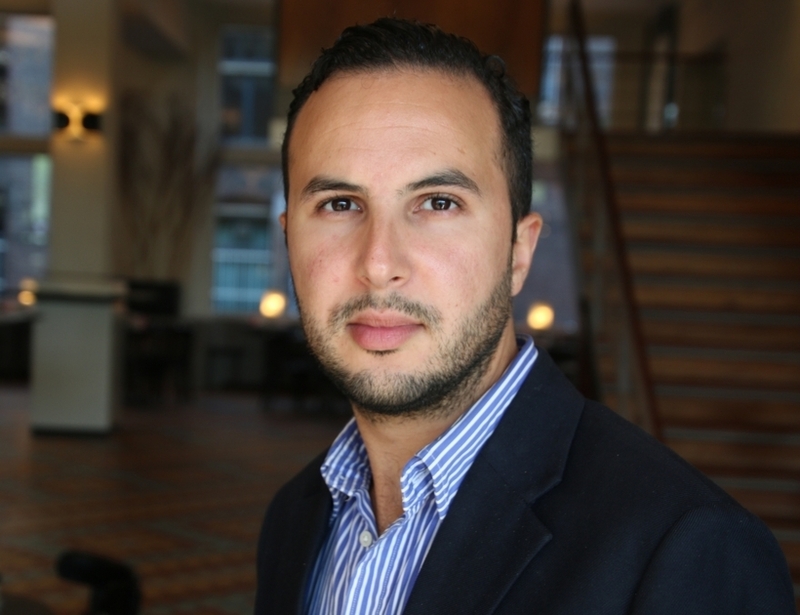 Ilias Zian: “I can impossibly speak on behalf of every Dutch-Moroccan person, and my goal is certainly not to justify the downsides, but the positive developments shouldn’t go unmentioned either”. (Image: © Jassir de Windt). Social transformations in the world and the role young people play herein will be one of the key topics of the 10th UNESCO Youth Forum. This brings us to the debate on the Muslim faith and homosexuality. Who are the young pioneers throughout the globe advocating for social change in this area? Born in 1988 in Amsterdam, Ilias Zian is a second-generation Dutchman whose parents immigrated from Morocco in the 1960s. A museologist currently employed as an art and culture specialist at the Amsterdam Public Library, he made international headlines back in 2014. HP: How did the process with regard to your own sexual awakening unfold? “I was born in the Netherlands in a rather liberal family. When I was 6 my dad returned to Morocco and my upbringing was entirely entrusted to my mom. She sadly passed away when I was 12 and then my sister and foster parents picked up the baton. On the whole, sexuality was never a discussion topic when I was growing up. This is, by and large, a taboo subject in the Moroccan society. I graduated from the Reinwardt Academy when I was 23 and started working in the cultural industry in Amsterdam. But then the unexpected happened: I fell in love with a guy… This brought me into a rollercoaster of emotions. Until then, I had always dated women and was only acquainted with conventional relationships between men and women. On the other hand, I was determined not to tuck this feeling away and decided to confide this to my immediate surroundings. My sister and foster parents reacted in a most positive way. My brother, on the contrary, found it harder to digest. Initially, he had the feeling that he had to somehow justify this to his immediate vicinity – meanwhile, he feels differently about me being gay. Maybe the hardest part was to convey all this to my father. At some point, I didn’t speak to him for 3 years. For this reason, our reunion in Morocco, a while ago, was moving… Nevertheless, during my stay, he remained aloof from the topic of my sexual orientation. He knew, for instance, that my boyfriend was arriving some days later, yet he must have decided not to call a spade a spade… At times, this can be awkward but I’m gradually coming to terms with his choice”. HP: Three years ago, you were the initiator of the first Moroccan boat that took part in the Pride Amsterdam. In doing so, what did you intend to bring about? “When I had just come out, I missed one specific aspect: role models. I’m quite sure that many young LGBT+ Muslim people must share the same feeling. For half a year, we worked to involve not only the gay but also the heterosexual Moroccan part of society in this project. After all, the underlying idea was to initiate the dialogue on this topic in the Moroccan community in the Netherlands and this is something that can only be achieved by embracing a collective approach. As such, in the weeks preceding the Pride Amsterdam, we organised several related debates in the cities of Amsterdam and Rotterdam in order to cement this notion. HP: Still, the most recent figures from The Netherlands Institute for Social Research show that, from all ethnic and religious groups in the Netherlands, acceptance of homosexuality is the lowest amongst Muslims. What is the story behind these numbers? “I invest plenty of time in awareness raising sessions geared toward youngsters. Hence the reason for me to think that some nuance should be brought to the figures as referred to. During the very first contact, youngsters tend indeed to be hesitant or defensive but if one is able to have in-depth discussions, a moderated reality is revealed. Generally speaking, third-generation Moroccans in the Netherlands are highly educated and enjoy the advantage of having parents that were either born here or speak Dutch fluently – especially Dutch-Moroccan women have meanwhile attained high levels of education. I can impossibly speak on behalf of every Dutch-Moroccan person, and my goal is certainly not to justify the downsides, but the positive developments shouldn’t go unmentioned either”. HP: As a man of culture, what role can art, culture and media play in bringing opposing parties in the LGBT + debate together? “Art is always a good framework to open up discussions on present-day issues. I personally always paw at repertoires that generate debate, as this is usually the first step towards social change. In this context, the documentary film I’m Gay and Muslim by Chris Belloni is one of the many precious available tools to engage into dialogue with youngsters of any ethnicity, religion or sexual preference”. HP: On balance, what footprints would you like to leave behind? “In my opinion, politics doesn’t necessarily hold all solutions – at least when it comes to the topic of sexual diversity, my perception is that the debate must be conducted in the public sphere. Accordingly, I commit myself to keep rekindling these discussions and to keep inspiring others to do the same. In 10 years’ time, I aim to hold a leading position in a cultural institution in the Netherlands and to still deploy art and culture as vessels of change. Regardless of my position in society, I’ll always stand for freedom”.